As the body ages, bone loss can become significant through a disease known as osteoporosis. Bone loss begins at age 25 and this loss can be accelerated with menopause. Dr. Karie McMurray offers a variety of prevention and treatment options for osteoporosis. 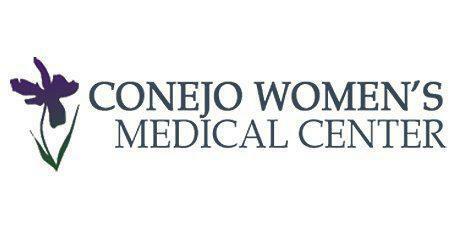 Visit Dr. Karie McMurray at Conejo Women’s Medical Center in Westlake Village, Thousand Oaks, California, located in the Conejo Valley area, for treatment related to osteoporosis. Osteoporosis is a bone disease where bones become weak and fragile, which makes them more likely to break. Fractures from osteoporosis are common in the hip, spine, ribs, and wrist. It can develop without pain or symptoms until a bone becomes fractured, so the best treatment method for osteoporosis is to catch it early through routine exams. Bones are made of living tissue, and they’re constantly being broken down and remodeled by the body. This process, called bony resorption, allows for new bone to grow simultaneously where the older bone once stood. Osteoporosis can develop when the bone is broken down faster than it’s deposited. Low bone mass, called osteopenia, and the disease of osteoporosis develop without any symptoms. Patients who have osteoporosis often feel sudden pain during simple everyday movements, like picking up a grocery bag. That sudden pain can often be the first symptom. As osteoporosis becomes more aggressive, the vertebrae could eventually collapse. That will cause severe back pain, a loss of height, or spinal deformities. If the spinal vertebrae collapses in the upper back, it can lead to a hump of curvature called dowager's hump. Osteoporosis can develop at any age, but older patients are at a greater risk of getting osteoporosis because the bony resorption process slows after age 50. For women, bone loss develops the fastest within the first few years following menopause and continues gradually into the postmenopausal years. As bone density loss occurs, osteoporosis can develop. This process is slower by 10 years in men. Treatments for osteoporosis are based on an estimate of your risk of breaking a bone in the next 10 years. Dr. McMurray gets that information using a bone-density test. For both men and women at increased risk of fracture, the most widely prescribed osteoporosis medications are bisphosphonates. Estrogen, especially when started soon after menopause, can help maintain bone density. Dr. McMurray uses it for bone health in younger women, or those whose menopausal symptoms also require treatment.